Haredi lawmaker says proposed draft law is 'the least terrible option,' says in the worst case, his party won't vote for the law. 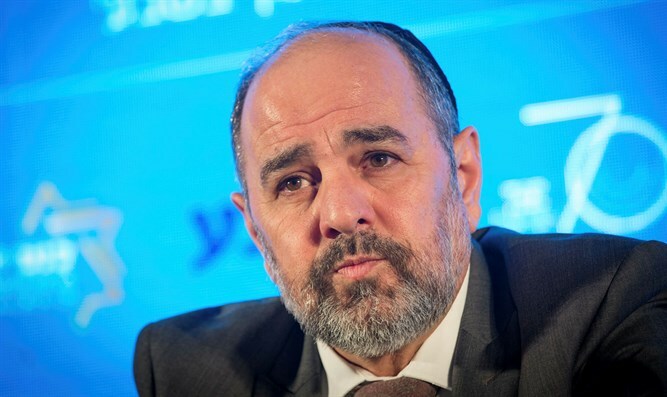 MK Yaakov Margi of the Knesset's Sephardic-haredi Shas party on Monday morning broke the 3-day silence surrounding his party's stance on the Defense Ministry's proposed draft plan. Speaking to Kol Hai Radio, Margi said, "The draft law is the least of the bad" and noted that "the Supreme Court will not bring down a law drafted by the IDF." He also promised to work to bring the haredi leadership to a consensus. "All of the parties' Councils of Torah Scholars will discuss the issue between themselves, and at the end of the day there will be a unified stance," he said. "We can refuse to vote for the law, or we can insist that it pass only together with a law recognizing the value of Torah study." MKs from the Ashkenazic-haredi UTJ party are divided on whether or not they should support the law. Last week, UTJ's Council of Torah Scholars ordered ministers and MKs to resign from the coalition if the draft law is promoted in in current form.